Born in Shiraz, Iran in 1970, Helen Zarin can remember beginning to paint pictures as early as the age of 5. As a high school student, Zarin studied with the well-known Persian artist and teacher, Saber. Later she enrolled in the Art and Culture Society, a national organization for gifted Persian artists. As a student of Art and Culture, she refined her skills in the various mediums of painting, in particular pastels and oil, at the same time earning a number of national awards. Conditions in her native country eventually compelled Zarin to turn elsewhere for the creative nourishment an artist needs. Hard work and God-given talent are not enough for an artist to progress and blossom, she remarks. Creative freedom in the right atmosphere is essential. In the pursuit of these artistic prerequisites, she journeyed first to Europe and finally to the United States, where she now lives and works. 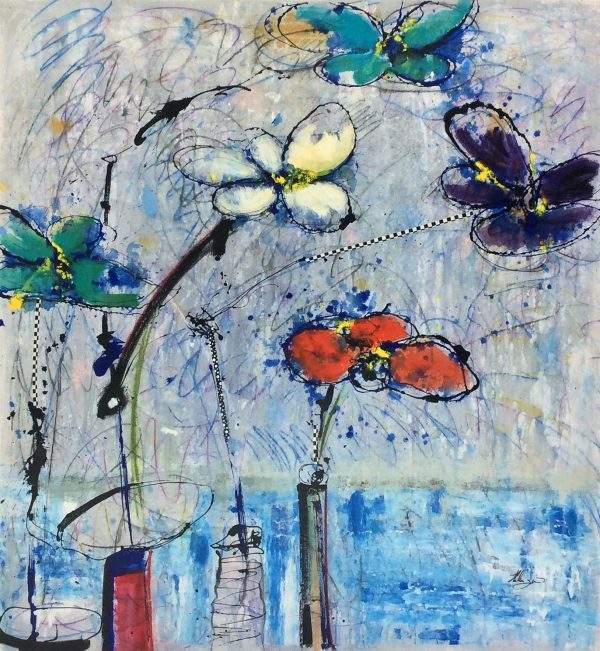 Arriving in New York City in 1993, Zarin attended LaGuardia University and, later, Catonsville Community College, in Baltimore, Maryland, where she learned English and further advanced her art education.